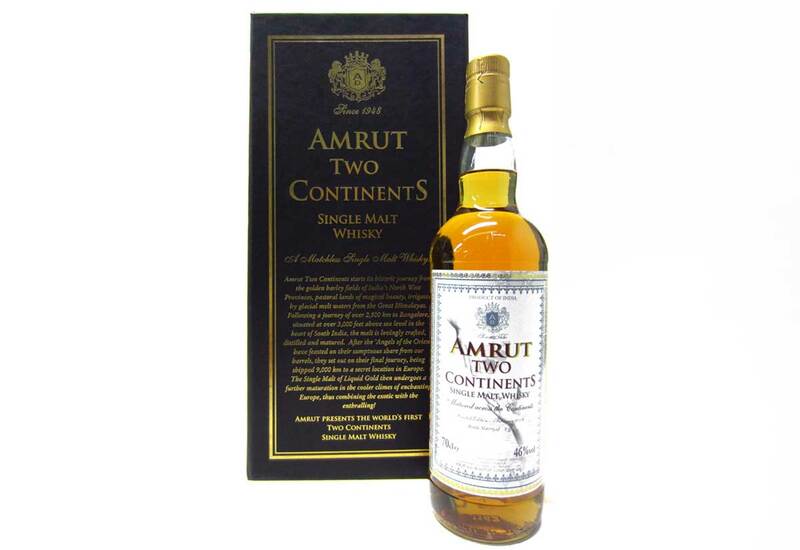 Amrut Two Continents starts its historic journey from the golden barley fields of India's North West Provinces,pastoral lands of magical beauty,irrigated by glacial melt waters from the Great Himalayas. Following a journey of over 2,500 km to Bangalore, situated at over 3,000 feet above sea level in the heart of South India,the malt is lovingly crafted,distilled and matured. After the Angels of the Orient' have feasted on their sumptuous share from our barrels, they set out on their final journey,being shipped 9,000 km to a secret location in Europe. The Single Malt of Liquid Gold then undergoes a further maturation in the cooler climes of enchanting Europe, thus combining the exotic with enthralling !